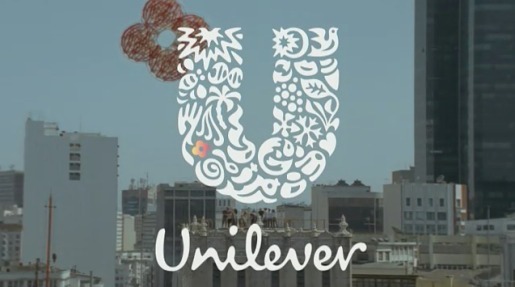 Ogilvy & Mather Sao Paulo is rolling out an advertising campaign connecting the Unilever logo with the concept of vitality. The logo, created in 2005, brings together a number of images to form the letter U: Recycle, Palm Tree, Particles, Sun, Bee, Flower, Lips, Sparkle, Sauces or Spreads, Tea, Fish, Bird, Heart, DNA, Liquid, Wave, Clothes, Container, Hand, Spice and Flavours, Ice Cream, Frozen, Spoon, Bowl, Hair. The unifying concept of Vitality is being brought to all Unilever’s products, giving life to the images/elements in the Unilever logo. Three commercials have been released: Sun, Flower and Bee, each capturing the development of an art installation by people connected with Unilever branding. Unilever and Human Potential. Suzana Pereira learned from Omo that dirt is good. Mariana Costa knows tastes great anytime. Teresa Porto faces her daily routine thanks to the energy of Ades. Human Potential with Vitality. Music is “The Fake But Not Finished” by Readymade. Unilever and Self Esteem. Juliana Tass believes in Real Beauty thanks to Dove. Bruna Lara faces the heat because she trusts Rexona. Gabi Matos uses Seda to have beautiful hair now. Self-esteem with Vitality. Music is “Find Love, Let Go” by Kyle Andrews. Small tents are placed strategically to demonstrate Unilever’s commitment to Community Involvement. Vitor Petroni teaches through the Esporte Cidadao Unilever Program. Marina Dias joined Omo in the fight against child paralysis. Community Involvement with Vitality. Music is “The Daydream” by Tycho. The Vitality campaign was developed at Ogilvy Brazil, Sao Paulo, by executive creative director Anselmo Ramos, group creative director/copywriter Fred Saldanha, head of art Denis Kakazu, agency producer Nana Bittencourt, executive producer Alex Mehedff. Filming was shot by 300ml via Hungry Man, Rio de Janeiro, with director of photography Hebling Jr., production designer Daniel Flaksman, line producer Beto Bruno. Editors were Marcelo Moraes and Fernando Vidor. Post production was done at Tribbo Post. See the Logo explained at Unilever.